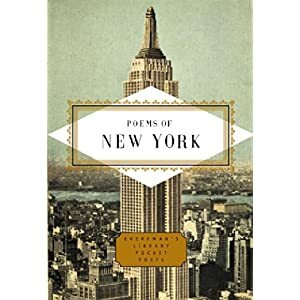 or write a lengthy review which teased out styles, moods, linguistic tricks, moments of beauty, and so on, but I think I'll just single out one poem by Nikki Giovanni titled "Just a New York Poem". I've chosen this one partly because it captured my mood at the time I read it (and I've only just read it), partly because it's in the public domain and appears safe to reprint, and partly, and above all, because it is somehow indicative of New York as it sits in my memory - simultaneously dynamic and full of life, and a place that exists only in time rather than in space. and grab yourself a copy now. 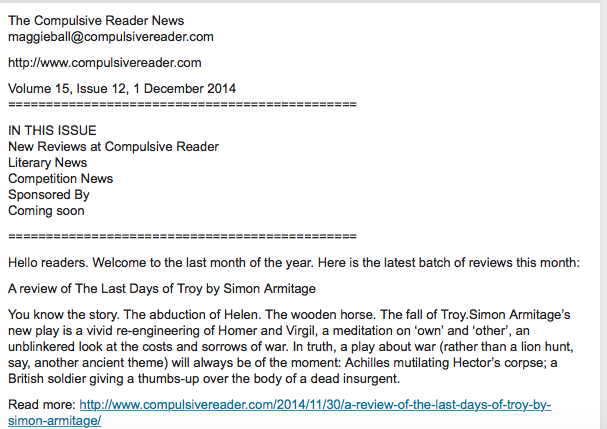 If you aren't a subscriber, just drop by http://www.compulsivereader.com and sign up. It's free and we've got a lovely worldwide community of readers (10,000 or so!). I only sent out one newsletter a month. Enjoy! Firstly I want to start today's blog with a massive thank you to everyone who has contributed to my Charity:Water birthday appeal. So far we've raised $1,470 which met my $1k goal. Yay! 42 people will get clean water as a result of the work we've done to date. As soon as I get them from Charity:Water, I'll be providing GPS coordinates and pictures of the people and communities we impacted. Because this is such important work, I'm going to keep the project going through the month of October, and I'm very happy to report that the very generous Virginia Clay has agreed to keep matching donations dollar for dollar. - More than 3.4 million people die each year from water, sanitation, and hygiene-related causes. Nearly all deaths, 99 percent, occur in the developing world. - Every minute at least one child dies from a water-related illness. So thank you, thank you, thank you for helping! This is really worthwhile work and you're integral to it. Please drop by the site: https://my.charitywater.org/magdalenas-50th and join us if you haven't already. No amount is too small - just click "Other" and you can enter any amount at all - the cost of a card, a cup of coffee or an international phone call, perhaps. Every drop makes a difference, and the difference, as my dear muse Gertrude Stein once said, "is spreading." On a noisy planet, Australia rates as quiet. appears on their computer screens. They have 'seen' the pulse of emptiness. They want a new vibration from some extraterrestrial heart. with nothing to bang or rustle. and wait to hear it rattle. I'm turning 50 next month. Yup, half a century is looming in front of me, and I'm not at all bothered about it. After all, I often get told that I'm aging well, I'm fit, healthy and my life is full of abundance. One of the reasons that I've aged well is that I make it a point to drink lots of fresh, clean water every day. However, not everyone has the privilege of unlimited access to clean, safe drinking water. Millions of kids around the world don't live to see their fifth birthday because they don't have access to clean, safe drinking water. 800 million people still live without clean water in developing countries around the world. Many walk 2-4 hours a day to swamps and rivers to gather dirty water for their families. Clean water isn't just a thirst quencher. It's a life saver, and a life changer. Clean water means health, income and education - especially for women and kids. Every $1 invested in improved water supply and sanitation can yield from $4 to $12 for the local economy. So providing clean water for those who don't have access to it is a big deal, and this year, instead of an expensive bash or fancy trip, I've decided to donate my birthday for clean water. Right now, a generous supporter is matching all donations to birthday campaigns until the end of the month, so although I don't turn 50 until October, now is the best time to donate. Every penny of the money raised will directly fund clean water projects. And when those projects are finished, charity: water will send us proof in pictures and GPS coordinates, so we can see the actual people and communities we impacted (I'll put them up here). That means we'll know the locations and names of the communities we helped. This year, instead of sending me well-wishes, a card or a gift, please join me and donate, whatever you can afford, to my birthday campaign. Every bit helps, it's tax-deductible, and even a $1 donation can have a big impact, especially if you donate before the end of the month, when every $ is doubled, so please go to https://my.charitywater.org/magdalenas-50th and donate whatever you can. Thanks so much! I loved it and coincidentally had just been discussing the possibility of a Slam poetry session at the 2015 Newcastle Writers Festival. Slam is such an interesting form - the poem created in the heat of the performance, sometimes never written down, and therefore always different in the play between audience and performer. It's quite different I think (mostly) to a poetry recital which is meant to be an adjunct or support of the poem designed to be read on the page, in the quiet of a reader's head. 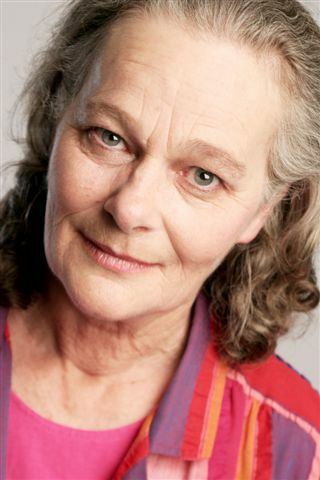 My friend's link to Sarah Kay put me in mind of another slamming Sarah - Sarah Taylor, the 60 year old who won the 2009 Australian Poetry Slam with her ribald "A Disgraceful Old Woman". A poem that is part of a quartet gathered from "secret old woman's business". What can I say other than watch the performance below and feel yourself opening to new possibilities of the form. I'm hoping I can get Sarah to talk to me about the way Slam breaks down barriers (not only between gender, race, and genre, but between audience and poet), and the utter fun (and perhaps terror) of performing to a scoring crowd. If you didn't know what a slam was, you'll know after this brief video. Here in Australia (and the UK too), it's Father's Day. As has become something of a tradition for me, I'm celebrating on my blog with a poem from the father focused book of poetry that Carolyn Howard-Johnson and I wrote together titled Imagining the Future. This year's poem is the poem that gave the book its title, and was inspired by an image (which now graces the cover) that my uncle took of my grandparent's boat yard where they lived when I was growing up. The photo was taken long after they moved away and conveys both the stark beauty of the place, and its abandonment - something left in memory, snow covered and still. When my grandparents lived there, the boat yard was always warm, noisy, and full of sunlight and freshly prepared food aromas. The poem was written for my grandfather Sam, who was something of a father figure for me. Happy Father's Day all you wonderful fathers, father's fathers, and father figures. You're far more loved and appreciated than your children (and grandchildren) tend to articulate. so many years after you disappeared. and grab yourself a copy. We've got the usual ten fresh reviews, three great giveaways, two new interviews, and of course all the literary news that's fit to print. I first met Jennifer Compton at the inaugural Newcastle Writer's Festival in 2013, when I cheekily sat down at her table in a crowded cafe. We were both there to read our poetry. I was on my own, and she was there with two other poets as part of a tour that was nearly finished. I was intrigued at the idea of a touring 'band' of poets, reading in different places, at different events, and cheering each other on as indeed they did, whooping and supporting one another through the performances. Jennifer read beautifully - performing her pieces with flair and leaving me with teary eyes. 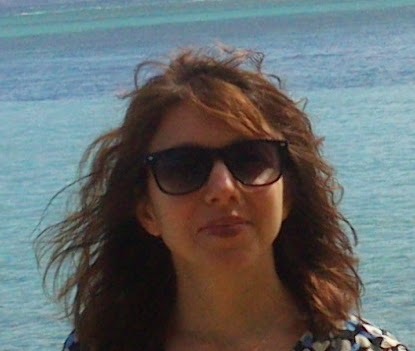 Her poem "Now You Shall Know" won last year's Newcastle Poetry Prize. Here's a little excerpt, taken from the NPP page. that will bring a sudden jolt that is the beginning of the end for her. and as I pinned her lily-of-the-valley brooch to my grey lapel, I knew. I'll be interviewing Jennifer on the 25th of October at the NPP Poetry Prize Ceremony from 9.45am – 10.30am, and you're welcome to join us there (please come and say hello!). I am travelling away from my life, towards my life. This city knows all my secrets. And that tram, lit from within, waiting at the end of the line. This city, which is nowhere else. I'm looking forward to spending several hours lost in This City in preparation for my chat with Jennifer (as if I needed a reason...). 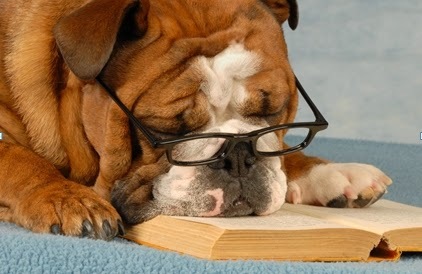 You know you want to read more. Go find Adrienne. She's waiting for you, "for the relief of the body/and the reconstruction of the mind." If you aren't a subscriber, you can go over and subscribe right now at http://www.compulsivereader.com. It's free, and you'll be joining a lovely community of 10,000 or so happy readers worldwide. included in this anthology, not least of which because of the illustrious company: the anthology includes some seriously amazing poets, and has been lovingly organised and edited by Jean and Kit, who have, as you might expect, done a wonderful job. 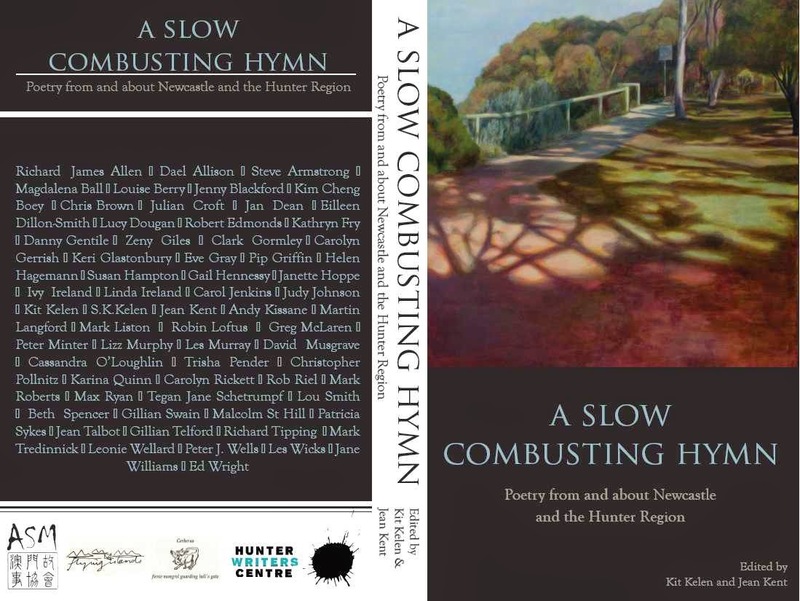 A Slow Combusting Hymn is a poetic map of Newcastle and the Hunter Valley. It contains poems from 64 poets who currently live in the region or who have strong local connections. The book is published by ASM and Cerberus Press and its production and launch have been supported by the Hunter Writers Centre. If you'd like to order copies of the book but can't make the launch, just drop a line to Jean: alicejean.kent@gmail.com with details of what you want, and she'll take care of you. It's been quite difficult for me to blog about the Coursera How to Change the World course I'm doing, for a number of reasons. The first is that the problems and issues that we're exploring are vast and complex, and covering social goods, poverty, climate change, disease and health care, women;s rights, education and social change in seven weeks is rushed, and at times, feels superficial. Another is that every time I learn something new, I'm ashamed that I didn't already know it. The world is a small place these days and if my neighbour is suffering, and I can help, I should make it my business. My son tells me I don't need a university course - I should just spend a few hours on Tumblr, and I've done that and will continue to do so, but there's something to be said for having a formal, well-thought through structure for self-education, and for allowing some time (no matter what else is happening) to read carefully (rather than scan), think through that reading, and then, in a curated way, applying it to a local context where a little effort can actually make a significant positive difference. How to Change the World is very thoughtfully curated, and despite the grandiose title, Michael S Roth approaches the issues carefully and humbly, acknowledging that he's learning along with us, and always allowing local and engaged activists to have the final say and present an insider perspective using a variety of media, and encouraging students to use a variety of tactics and media in the assignments. This week we've focused primarily on climate change, and though I well knew about the inherent challenges of our changing climate, the course has encouraged me to take a positive approach and to see every thing that I can do, whether it's as simple as assessing and then finding ways to decrease my own (fairly considerable, it turns out) footprint, or getting more broadly involved in sustainability projects, as valuable. Every week I've begun by thinking "this is an issue that is particularly important to me." This week, which is no exception, is Disease and Global Health Care, and I look forward to watching the videos, delving into the readings, and then applying the learning in a way that is relevant to my life and uses my capabilities. It may be small, and a little superficial. I can't deny that I'm still ashamed about that. But doing nothing or becoming overwhelmed is no solution to shame. I have to start somewhere, sometime, and here, and now, seems to me to be right. It must have been some 30 years ago when I went to hear Czesław Miłosz read his work in New Jersey at Princeton. What I remember most was the intensity of his gaze, the way he lost himself in his words as he read, and power that resided as an undercurrent to the simplicity of his words (especially in light of the literary pyrotechnics I was usually drawn to at the time). It was a relaxing evening, involving, if I recall correctly (memory being entirely unreliable), wine, cheese and very little intimidation or pomposity, in spite of the grandeur of our surroundings and the size of the audience, given Miłosz' fame at the time. I've just re-encountered him and the poem below, through a course at the University of Iowa titled How Writers Write Poetry which I couldn't resist checking out (did I mention how easily distracted I am at the moment?) - you can still jump in - this one is totally ungraded. The workshops have already spurned several new poems, as has my other MOOC course through Coursera How to Change the World, which I'll be posting on shortly if I can find a moment to summarise my thoughts between all the readings. For now though, here's are a few of my favourite Miłosz poems courtesy of the Poetry Foundation to start the week. The newsletter this month has the usual bunch of reviews and interviews including Elizabeth Gilbert, Christos Tsiolklas, Sheila Kohler and lots more, as well as all the latest literary news, and three great giveaways (including some things you just can't buy). 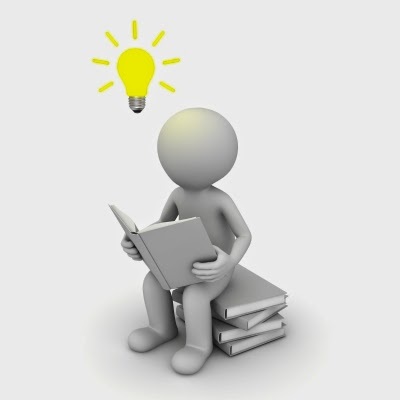 If you aren't a subscriber, it's free, we only send out newsletters once a month, and you can sign up in a few seconds at the Compulsive Reader site: http://www.compulsivereader.com. A few weeks ago, I featured Andy Kissane's Radiance here on Poetry Monday, and as a follow-on to that, I invited Andy to drop by The Compulsive Reader Talks to read from his book and chat to me about the poems. Rather than send you over the show, I thought I'd bring the show to you, so here it is. I think you'll enjoy it. Andy was a charming guest, and his readings particularly vivid.